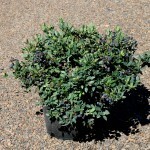 A southern Highbush blueberry that is self-fertile and compact. 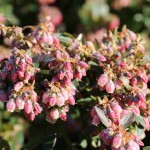 It has light pink flowers in spring with abundant, mid-season, medium sized dark blue fruit. It is evergreen in mild winters and is tolerant of relatively high pH. The fall color is purple red. 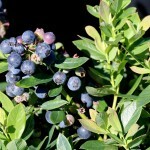 It prefers full sun and an organically rich, acid, well-drained soil.